The passage from sugo/salsa to sauce/gravy must have occurred when immigrant families settled into new neighborhoods in the U.S. and became an Italian-American family/neighborhood tradition more than anything else. Some immigrants translated the Italian for what they put on their pasta as gravy, while others translated it as sauce and the translations have been passed down through the generations, becoming the definitive lable in the process. People get amazingly passionate over things like this. 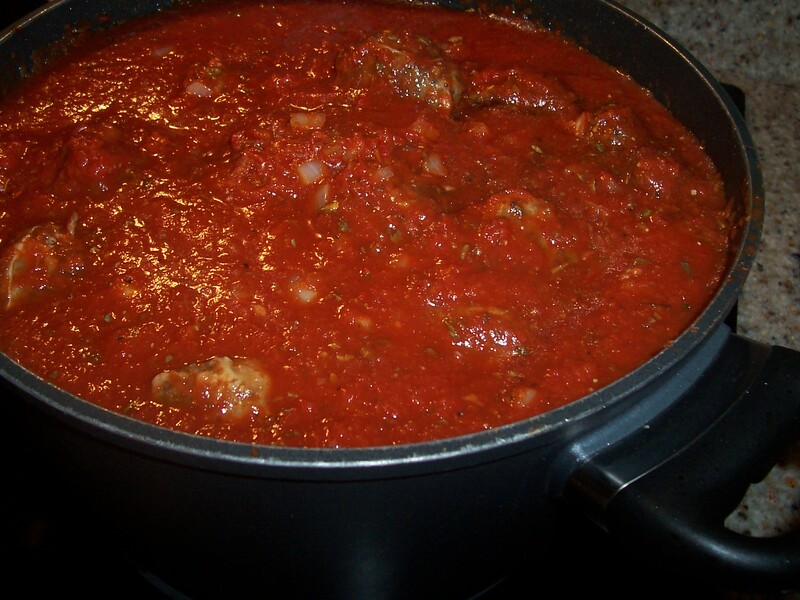 The aroma of a garlic-laden tomato sauce spiked with sausage, meatballs and rolled-up braciole can bring tears to the eyes of many Italian-Americans. Sunday gravy, evokes memories of weekend family gatherings in which mom or grandma presided over the constantly stirred pot of sauce and meat, and various relatives were tasked with procuring the essential provisions to round out the dinner—the cannoli and sesame bread from the bakery or the wine from the cellar. Sunday gravy was more than just a big meal. In close-knit Italian-American homes, it was a virtual religion. The best Sunday gravy simmered on the stove for hours and the meats in the sauce became a symbol of plenty. Meat had been a rarity in the old country and, if there was any of it at all in a meal, it was usually pork. But in the U.S., immigrant women bought beef because they could. The long, slow cooking time was also a time for families to spend with each other, reinforcing ties that could withstand the harsh realities of the outside world. When I was young, my mother would make Italian gravy every Sunday. She would start at dawn and work in the kitchen pretty much until dinner time, which was around 2 or 3 in the afternoon. Not only did she prepare this sauce with meatballs, sausage, etc. for pasta, but she would also cook a pork roast or an eye of the round roast, vegetables and salad. In those days, my grandfather would come to dinner and bring Hershey chocolate bars, ice cream and a jug of homemade wine. This tradition is time-consuming and quite a lot of work. Not the healthiest of meals, either, with all the meat and oil used in its preparation. I make tomato sauce with meatballs and sausage quite often but on a much smaller scale with a lot less fat and with healthier meat for the meatballs and I do the same for Sunday gravy. Just for the fun of it, I make Italian gravy once or twice a year. This time it is for the blog, so you can see just exactly what Sunday Gravy is all about. Lay the meat out on a board. Pound with a mallet to thin the meat. Cut the meat into 5-6” slices. In a small bowl combine the olive oil, chopped parsley, shallots, bread crumbs, cheese, garlic, pignolis, if using, and salt and pepper to taste. Sprinkle the mixture evenly over the beef rolls. Fold in the sides over the filling of each roll. Roll up each slice and secure with kitchen string. Preheat the oven to 375 degrees F. Line two baking sheets with aluminum foil (for easy clean up) and coat them with olive oil cooking spray. 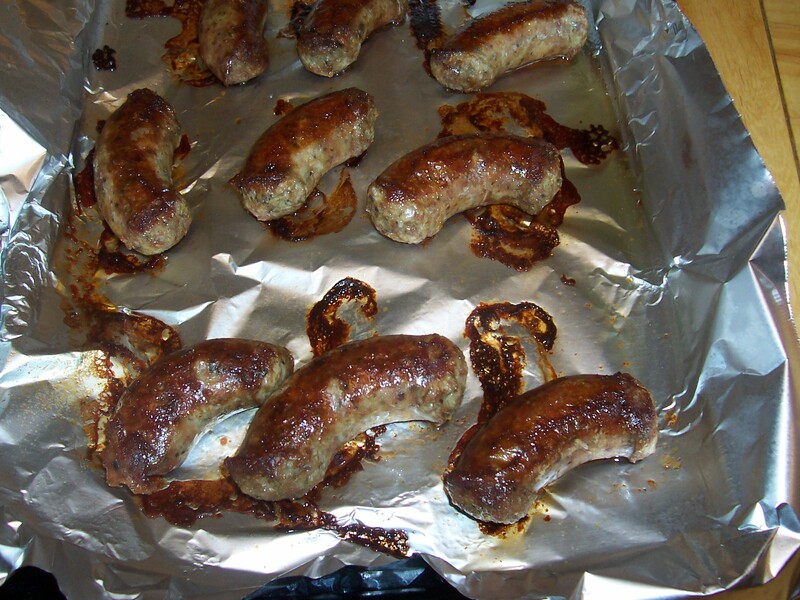 Place the sausage links on one baking sheet. The second baking pan is for the meatballs. In a large, heavy pot over medium-low heat, warm 1 tablespoon olive oil and add the boneless pork ribs. Cook 4 to 5 minutes on each side or until browned all over. Place on a clean plate. 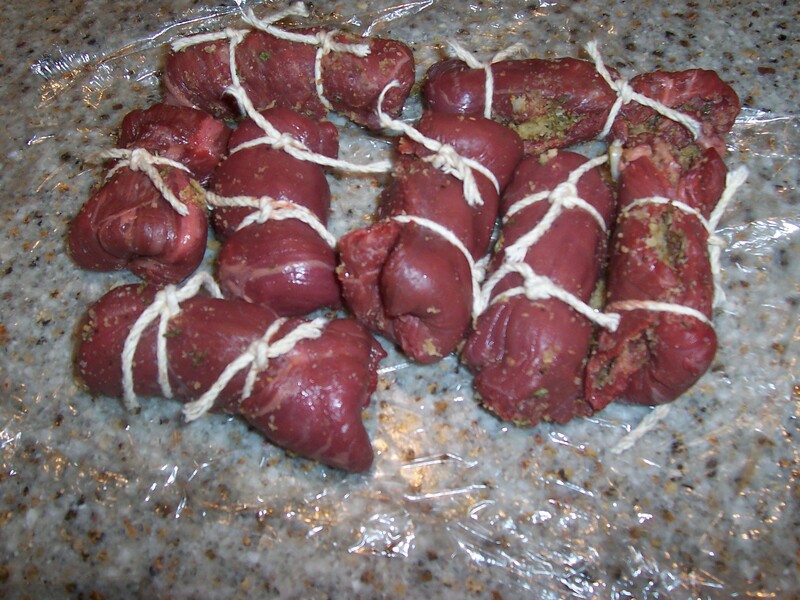 Add the braciole rolls and brown them on all sides. Transfer to the plate with the pork and cover with foil to keep warm. 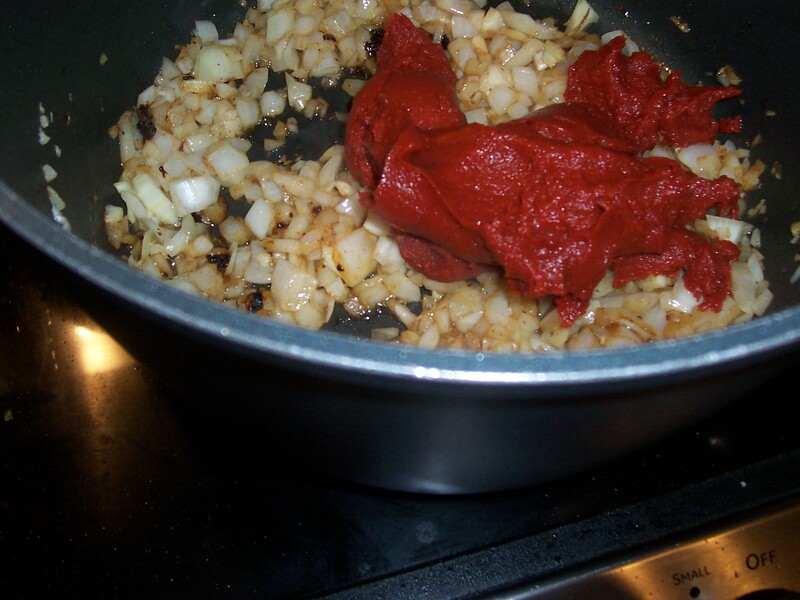 Add the onion and garlic to the pot and cook 3 to 5 minutes, until softened. Add the tomato paste. Fill the empty paste cans with water and add to the pot. Stir into the onions and let cook for 2 or 3 minutes. 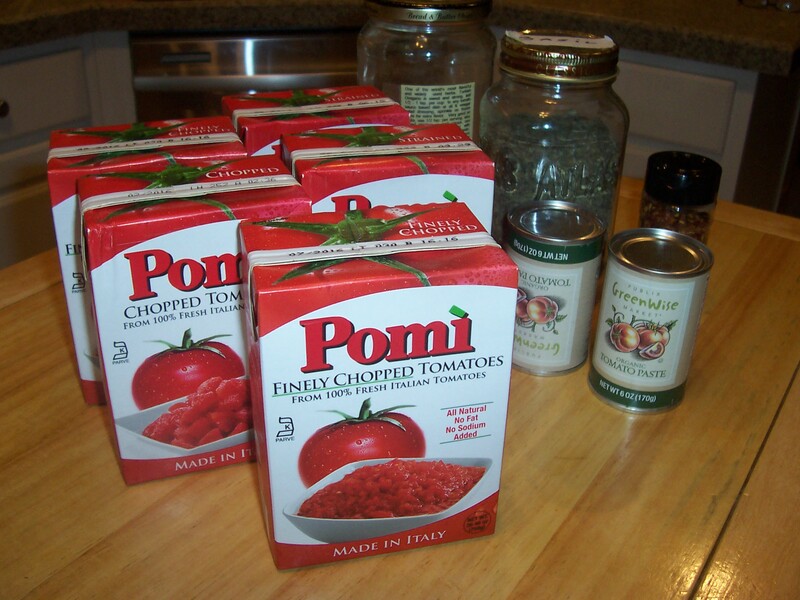 Pour in all the tomatoes and fill one tomato container with water and add it to the pot. Add the seasonings (crushed red pepper – parsley), the pork ribs and the sausage. Bring to a boil; reduce to a low simmer and cook for about 1 hour, stirring occasionally. Add the cooked meatballs and braciole to the gravy after it has simmered for one hour. Simmer for an additional 3 to 4 hours (if you want it thick and rich). Stir in the fresh basil just before adding the gravy to the pasta. In the meantime, cook the pasta in salted water until al dente. Once cooked, drain and add the gravy. Sprinkle with grated Parmigiano-Reggiano. Serve the meat on a big platter, so diners can choose what they want. Add the water to the bread crumbs, mix well and let sit for a few minutes. 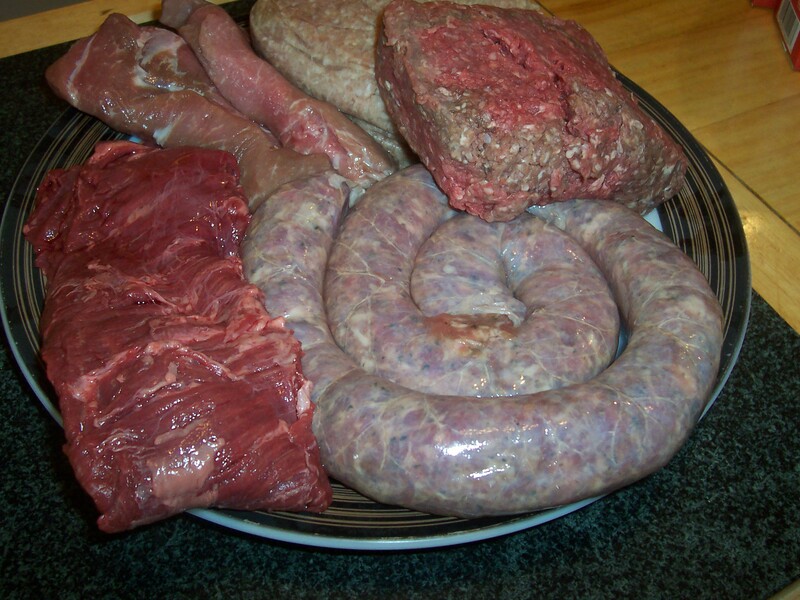 Place the meat in a large bowl. Add the onion, garlic, cheese and parsley to the meat. In a small bowl, beat the egg with the salt and pepper and add to the meat mixture. Add the moistened bread crumbs. Mix the ingredients with your hands until the consistency is moist and the meat holds together well. 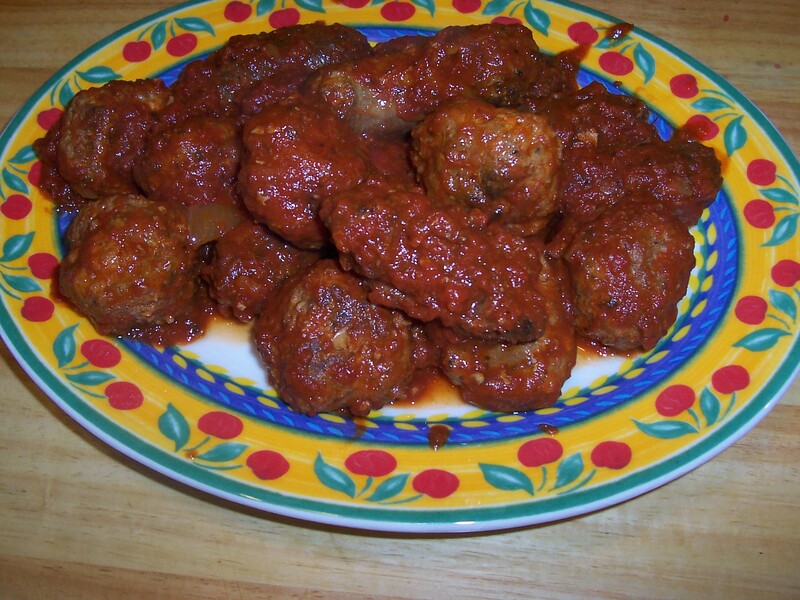 Using your hands, roll the meatballs into 1 1/2-inch balls.Two pounds of meat should make about 18 to 20 meatballs. Place the meatballs on the foil lined baking sheet. Bake for about 20 minutes, or until browned, turning them over after 10 minutes. Cover and keep warm. 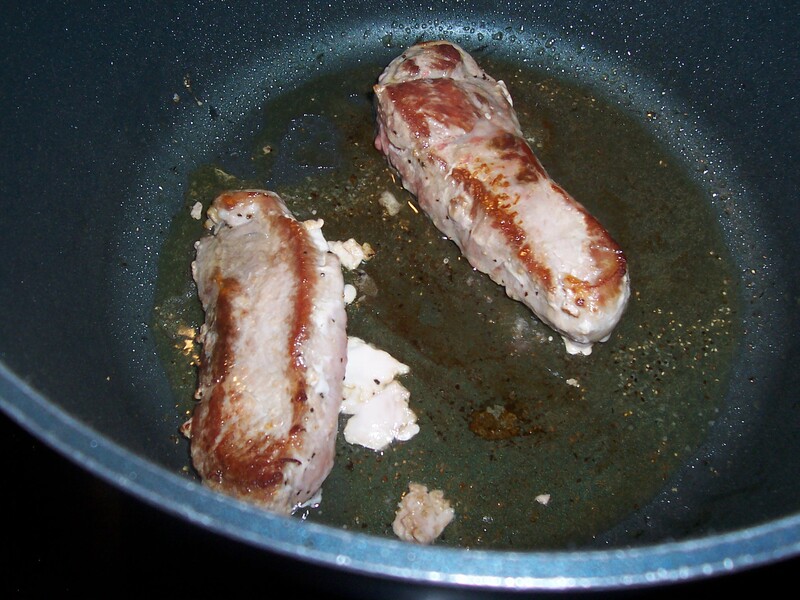 Place the pan of sausage links in the oven at the same time and bake the sausage until browned. Turn over halfway through baking. Add the sausage to the gravy when the pork ribs are added. What a splendid feast of a meal! If we ever have the time, it sounds like we should get a big group of people together and make a day of it. Definitely get a group togther, just like Italian families used to do. Need plenty of eaters and they help you prepare. What fun! An old Italian tradition that rarely happens anymore. Shame, it’s a good tradition to have. Thanks for your recipes…we love them! Hi Judy. I did not forget it but I don’t ever use veal for humane reasons. I do add sustainably raised lean ground pork to the grass-fed beef. I feel the pork adds lightness and flavor that makes for a great tasting meatball. You won’t miss the veal. Actually my grandmother only used beef and I added the pork because the family liked my meatballs made that way. When I lived up north, the 3 types of meat packaged together was called meatloaf mix. but I have not seen that combination in quite awhile and never down here in the south. Thank you for being such a great reader. the reason for veal is that it is very young animal and the collagin is easily changed to gelatin. 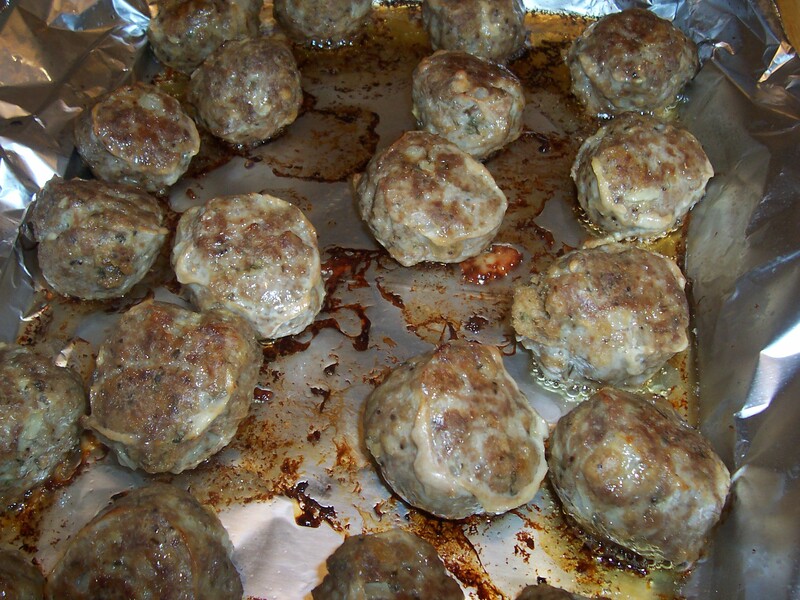 You can get very similar results from add plain gelatin to your meatballs. For the amount you are making here, I would suggest about two TSB. Thankyou so much for your information. Publix, in Florida has he three meat mix. Now that is my kind of gravy! I bet the house smells AMAZING while this is being made. Oh you got that so right. For 4 hours or so. Helps develop an appetite. I love this tradition. Thanks for sharing it with us. This step-by-step tutorial is perfect! I love the photo with the kitchen string. This dish is no joke! This looks so good! Wow. This is the kind of home cooking that needs to be shared! I could use a little sunday gravy. Thank you for your great comment, Amanda. Old, old Italian American custom that is fading in the culture, so I try to keep track of these traditions in my blog. So, sometime around 1958-59, and one of my best buddies was named Ferraro. I was over to his house a couple of times on a Sunday after church. I could not believe what his mother was cooking. She had a roasting pan in the oven with a trussed chicken, a pork shoulder a chunk of beef and she was making meatballs! Thank You! At long last the food mystery of Mrs. F. has been explained. You are welcome. Thank you so much for your comment. I have to make lasagna for about 100 people. I would like to use this “gravy type of sauce” that I read above. It sounds so yummy! I would also like to have a side of meats in the gravy. Can you help me out? I live in England and we have recently been receiving episodes of “Jerseylicious.” There is a guy of Italian descent who quite often talks about Sunday Gravy! Well gravy over here is completely different to what the Italians call gravy so I wanted to try to make the Sunday Gravy myself so thank you for the recipe. I’ll let you know how it goes!! You are right. When Italian Americans refer to Sunday Gravy, they mean spaghetti sauce cooked for hours with meat simmering in the sauce. It is not the same as roast beef gravy here or in the UK. Hope you enjoy it. Always a tradition in my home growing up, this recipes is as close to my familys as i have seen, one thing is missing in the sause I believe, a little red wine vinegar and sugar 😉 but all the meat added to the sause to simmer fantastico! Thank you so much Annmarie for your gracious comment. My relatives were from the Naples area and they did not use vinegar or sugar. Probably a regional difference. Visit often. My family also from Naples (grandparents). They as well as my mom, never used sugar or vinegar, as well as carrots that I have seen in some recipes. Plus not only so close to your recipe. But also use neckbones. Thank you so much Marialaina for your comment. Yes my maternal grandparents were from an area north of Naples and I make this recipe very similar to the way my grandmother made it. I switched to pork ribs instead of neckbones because they are so much easier to purchase. My family is calabrese, no sugar or vinegar either. My mother in law was Irish & she put sugar in her gravy. I do not know where she got her recipe for gravy, but she used 6 cans of tomatoe paste. I use 1 can tomatoe paste, 1 can tomatoe sauce, & one can tomatoe purée. We mix ground pork & ground round to make our meatballs. We also live pork neck bones in our gravy. My Mom puts chicken wings in her gravy, delicious! I found your recipe today and I must say I am so excited to make this for my family, I have 6 brothers and a sister and several nieces and nephews. 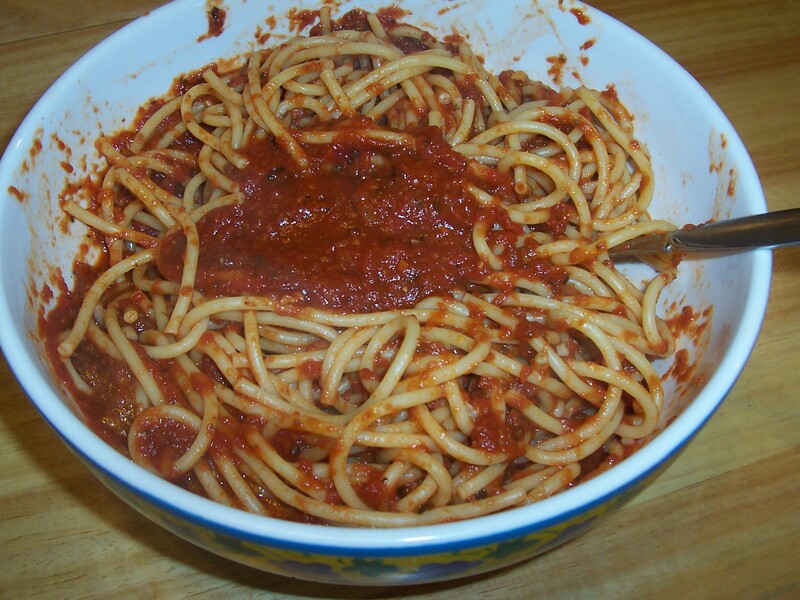 My mother always made such wonderful meals as we were growing up, but we are Irish and German so it is so wonderful that I have found this Italian recipe for spaghetti sauce. They will be coming to my house in October for dinner and I can’t think of anything better than your recipe for our dinner. I can’t wait to have that wonderful Italian smell in my house. I do believe this world needs to get back to close knit families and good food. Again thank you so much. I will let you know how everything goes. Kathy, so nice to read your comment. I agree and I hope your family enjoys this sauce. My grandmother made it and my mother. I am continuing the tradition. Keep in touch. The gravy and and your narrative bring back great memories of Sunday in Newark N.J. Thank you for a terrific recipe. You are so very welcome and thank you for your gracious comment. My pot holds a little more than a gallon. You are right, though, it you are going to make it, make a big batch. Sauce freezes well. I remember when I was a kid in Newark, my grandmother would make a large pot of Sunday gravy each week. She would get up early on Sunday morning and start cooking so that The family could eat at about one or 2 o’clock in the afternoon after attending mass. Your recipe sounds similar to my grandmothers but as I recall she used pork neck bones instead of ribs ( probably cheaper) and, after browning the meatballs and sausage and a frying pan, she would add them to the pot of sauce to finish cooking. My wife will be out of town tomorrow so I am going to attempt to double your recipe and cook it tomorrow. Wish me luck! I most certainly do. It will be great. Feel free to ask me any questions about the recipe. “Sunday Gravy” or Sauce depending on your family’s usage, was probably made by all the grandmothers in NJ in a similar way as my recipe. I grew up in Elizabeth. Variations – sure – for some of us ribs were easier to get than neck bones – just depended on where you lived. You will have a wonderful meal tomorrow night. Thank you so much for your comment. Today’s my birthday. I went to the Italian market in Philly and got the pork ribs, sausage,bracciole, meatballs and parmesan-romano. My gift to myself! I love it when I have time to really cook. It’s relaxing; healing actually. This is my first time making bracciole. The aroma us incredible! Hubby is already dipping bread into the gravy. My teenagers come in one after the other exclaiming “omg what smells so good? !” I’mgrateful for this recipe and the experience I can share with my family. Happy Birthday and I am so pleased you shared your wonderful story with me. Enjoy your wonderful meal. This is a very similar recipe to one my Sister in law passed down to me from her Italian family. One question – do you think this can be simmered in the crockpot successfully? I would give it a try and see if you like the results. I made your recipe splitting it into two portions. Cooked one in the crock pot 8 hrs over low heat. The other on top of the stove, traditionally. They both turned out wonderful. Taste tested and found no difference in texture or flavor. Delicious. Everyone was very very happy. I do/did use regular bone in pork ribs, St. Louis Style split into about 3-4 rib sections. After cooking, I cut them into individual ribs. YUM. FYI – everyone could not stop commenting on how delicious these ribs were. Thanks. So glad the recipe works both ways and that you liked the results. I have been making this sauce for a long time. Thanks for letting me know. My gravy is on the stove as we speak. I was fortunate to marry into a wonderful Italian family in the Boston area, and my Mother-in-law Gloria made a wonderful gravy. All the Aunties were great cooks too – especially Auntie Sylvia, who made the best chicken soup I’ve ever had (except mine, because it’s hers). My first dinner at my now wife’s house was Easter, with Lasagna that required hours of resting meditation to digest properly! In my experience, Italians are warm, feisty, and emotional, and definitely tend to eat rapidly. That Easter everyone was done and I was 3-4 bites into my plate. I’ve learned to pick up the pace. Every ethnic group offers up special recipes…….all of them! But Italianos? The BEST!!! Sorry – no contest. That’s said tongue-in-cheek, but ahhh, the love of life and food. Your recipe is great. I’ve only done bracciole once or twice….gotta try the pine nuts. 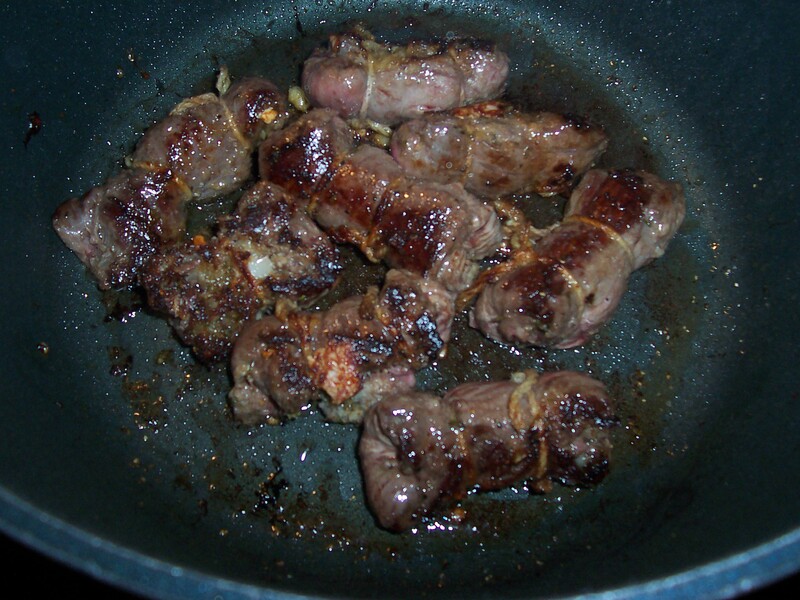 I’ve got some bony chuck steak in my gravy today…….but no hard boiled eggs. I love a couple in there. I imagine that had to do with low shopping budget. I miss our older generation that lived through the depression……..they could stretch a meal, because they absolutely had to! My last thought is to remember the Greatest Generation, always! Thanks for some very good reading. And a very Merry Christmas to all 2016. I bought an “express crockpot.” ( similar to instant pot ). I make gravy in it all the time. You can sauté your meat in the pot, then drain grease, add your ingredients, in less than 15 minutes, you have your gravy made. The only downside is you cannot make enough for more than four helpings. Thank you so much for your wonderful comment. I loved reading it and I am so pleased you are making the sauce today. Merry Christmas and I hope you had a great day. My wife and I, mostly her, made this gravy not long ago and put meatballs, italian sausage, and boneless pork ribs and it was the best red gravy I’ve ever put in my mouth. We froze what was remaining and just finished off the last bit. It was so delicious. Thanks for putting this recipe out there. Man I like it. Bryan – thank you so much for your wonderful comments. I so appreciate hearing from readers when they have success with one of my recipes. 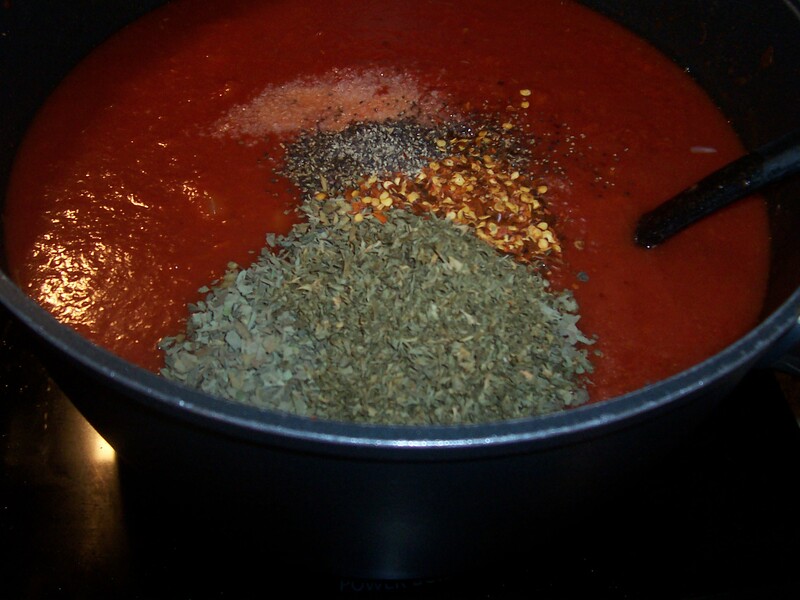 This recipe has been in my family for a long time because I learned this method of making sauce from grandmother. It’s not a translation issue. It’s called gravy when you cook it with bones and sauce when you don’t. Marinara is not a gravy because there are no bones but Sunday gravy is generally cooked with bones. I’ve made this recipe multiple times now. I just felt completed to thank you for such a concise and easy to follow recipe. It’s truely delicious! Many thanks from Australia! I’ve just found this wonderful recipe, and can’t thank you enough for your tutorial. Is there a way I can print this, or do I need to cut and paste into a different document? I can’t wait to make this as I’ve sampled something similar and oh so divine, but the provider didn’t “share” recipes. I’m thrilled to have found this. If you look up where many of the readers clicked Like you will see above it Share this. then the first icon is W followed by a line of icons. The last one just before the MORE box is the print button. When you click it, a new print window will open. There is also an explanation on how to print in the right sidebar. Thank you so much for your interest. Everyone loves this dish. Let me know how it turns out. What a wonderful post and rich memory! You have inspired us to heat up the house this cold (-35 windshield) Saturday night in Minnesota. 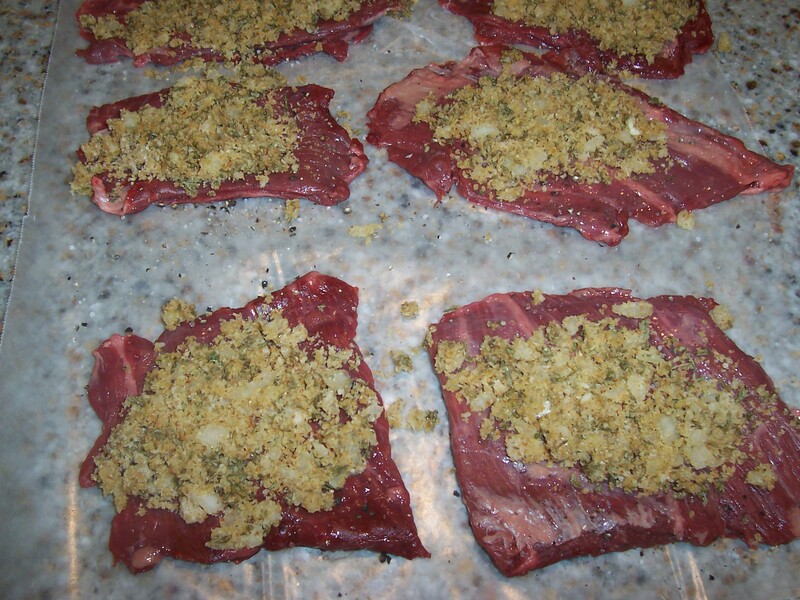 We have never made braciole but we can’t wait to see how this turns out! (Full disclaimer: we had to use a shoelace for our last braciole!). So far the red sauce tastes amazing! We’re going to give it another hour or so, and have it tomorrow for Sunday/NYE Celebration! Thank you so much for sharing!! We will continue to follow your blog! Thank you for you comment. I hope you really like this recipe. Happy New Year. Thank you, for sharing this. I was getting hungry looking at this. This sounds delicious! Can’t wait to try it. We buy our grass-fed beef thru a co-op and we raise our own pigs. Looking forward to seeing more of your recipes. Amazing Recipe! Thanks for sharing this recipes with useful information. This proved to be very helpful and was different from others.